0 Port Fairy 2015, We’re In!!!! 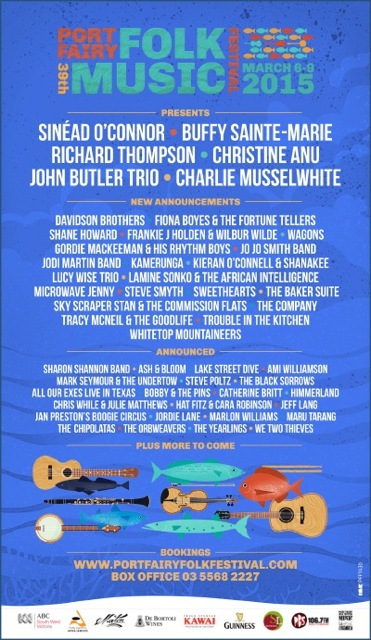 Port Fairy 2015, We’re In!!!! SHANAKEE will be performing for the very first time at the National Celtic Festival in Portarlington this coming weekend from 6th to 9th June. We will also be celebrating two big birthdays in the band Kieran on the 5th and Greg on the 6th.. If you see either of the lads your have our permission to buy them a Jameson or a Guinness to celebrate!! Check the program for our venues..
Slan and see you there!